Rocket stoves are amazingly simple to build and quite effective at producing powerful heat for warmth and cooking. Most are only one burner but this design give you the option of cooking two pots at once. They are super cheap to build. 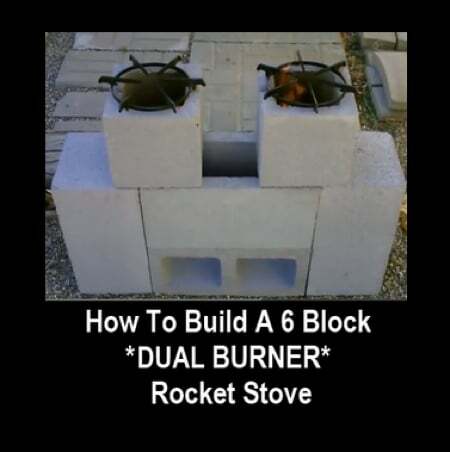 Once you have the blocks on hand, you can set up you rocket stove in minutes.